Like any well planned socialist utopia, the people calling shots at the top never plan to suffer the consequences of their bad ideas. Consequences are for the little people to deal with. 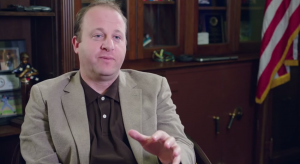 Take the latest example of this global truth, as uncovered by former Coloradan Todd Shepherd: Jared Polis’ investment in a company called BridgeHealth Medical. While simultaneously trying to force Coloradans into a type of third-world socialized medicine scheme, Polis is investing in a cross-border escape hatch for rich people like him who can’t be bothered by death panels, months-long wait times for treatment, and care providers with the attitude of DMV workers. While a so-called “single payer” takes care of the people he expects to vote him into office, Polis and his family will have access to the services of BridgeHealth Medical to whisk them away to their country of choice to receive medical attention in a faster and more effective manner that what would be doled out by government-run healthcare in the United States. Polis co-founded BridgeHealth in 2007, and the following year BridgeHealth purchased Medical Tours International, a company focused on providing overseas healthcare access to patients in Canada’s notorious nationalized health system, as well as services to Americans seeking treatment overseas. At the time of Polis’ election and his support for ObamaCare, this was a rather controversial investment. The business plan hinged on growth in Americans being forced to seek treatment overseas, a very reasonable outcome if Polis’ plans for universal healthcare in the U.S. were to come to pass. Like his role models who established Stalinist Russia, Polis plans to live by a different set of standards than the people he seeks to “represent.” We don’t have to look any farther than the candidate’s own FEC filings. Let’s vote in November like our freedoms depend on it, because we know that if Polis is elected, he will only be looking out for himself. Oh, and don’t buy the line that his assets are in a blind trust. This asset was absolutely not in that trust, making it even more problematic.